An allegedly drunken Ohio woman baffled local law enforcement officers when she tried to break into a county jail and demanded that she be arrested, NBC station WLWT in Cincinnati reported. Officials said Tiffany Hurd was seen attemping to get in the jail by climbing a barb wire fence. 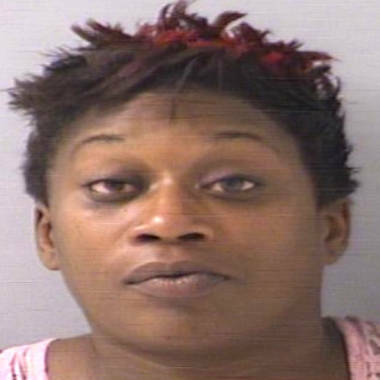 Tiffany Hurd, 36, went to the Butler County Jail Sunday Morning when deputies saw her attempting to climb over a barbed-wire fence. She was advised to leave by staff and refused and said, "I want to be arrested." A corrections officer saw Hurd lying near the fence earlier as he was leaving the jail after finishing his shift. Deputies advised her to leave, but she refused, saying, "I want to be arrested." The deputies obliged and Hurd was charged with disorderly conduct and criminal trespassing. She's being held at the Butler County Jail, the station reported. In a similar incident, a North Carolina man was arrested on July 21 for refusing to leave a jail on the day of his release until he was given a ride to a motel. The man was arrested and charged with second-degree trespassing.